Too lazy to go out for brunch on a Sunday morning? These gourmet pancake mixes are a fool-proof way to have your own yummy pancakes at home! 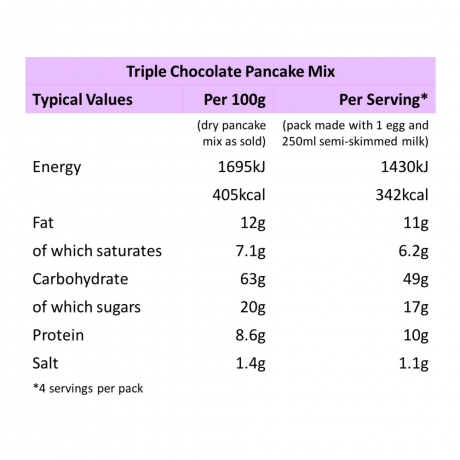 You can be enjoying warm fluffy pancakes in less than 5 minutes – all you need to add to our pancake mix is one egg and some milk and then give it a whisk, they only take a minute or two to cook. 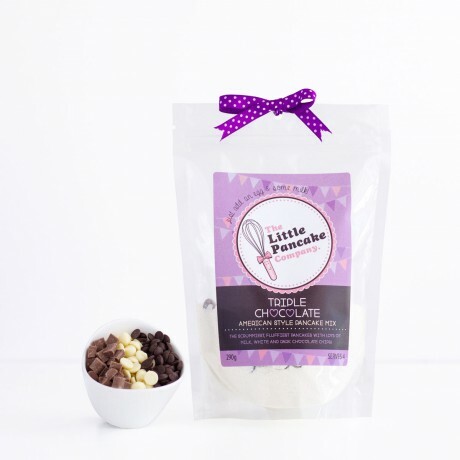 At The Little Pancake Company, they're passionate about flavour which is why they use delicious indulgent milk, dark and white chocolate in this pancake mix. Available to buy in 2 packs, if you're curious you can swap the second mix for any other exciting flavour. For details see other listings. Opt to add a whisk and a heart shaped pancake cutter to make the perfect gift for any pancake lover out there! Each mix contains plenty for 4 delicious servings. Beautiful packaging, easy to make, addictive and tastes delicious. Makes a wonderful gift! The Little Pancake Company sent us the most gorgeous pancake mix I have ever seen or tasted. 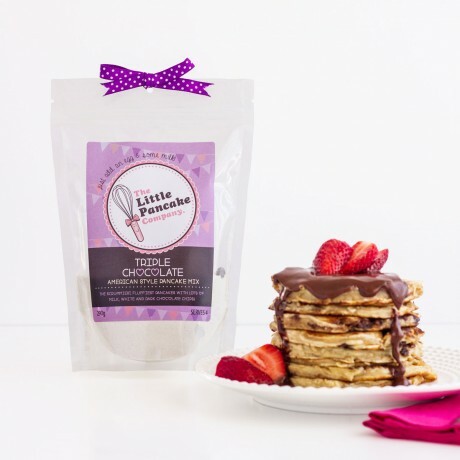 Beautifully packaged and stuffed with super tasty ingredients, these fluffy American-style pancake mixes are great for gifts, Easter, birthday breakfasts and, of course, Shrove Tuesday. 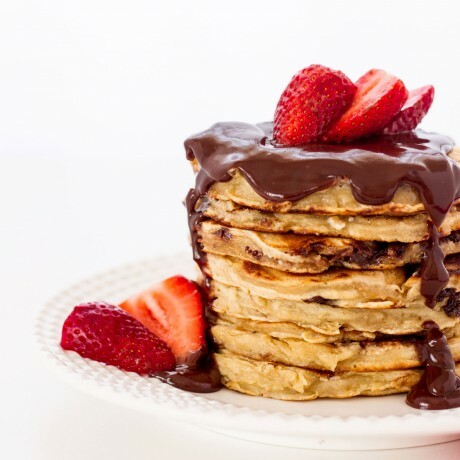 These pancakes are light and fluffy, while the melted chocolate chunks add that something extra special. 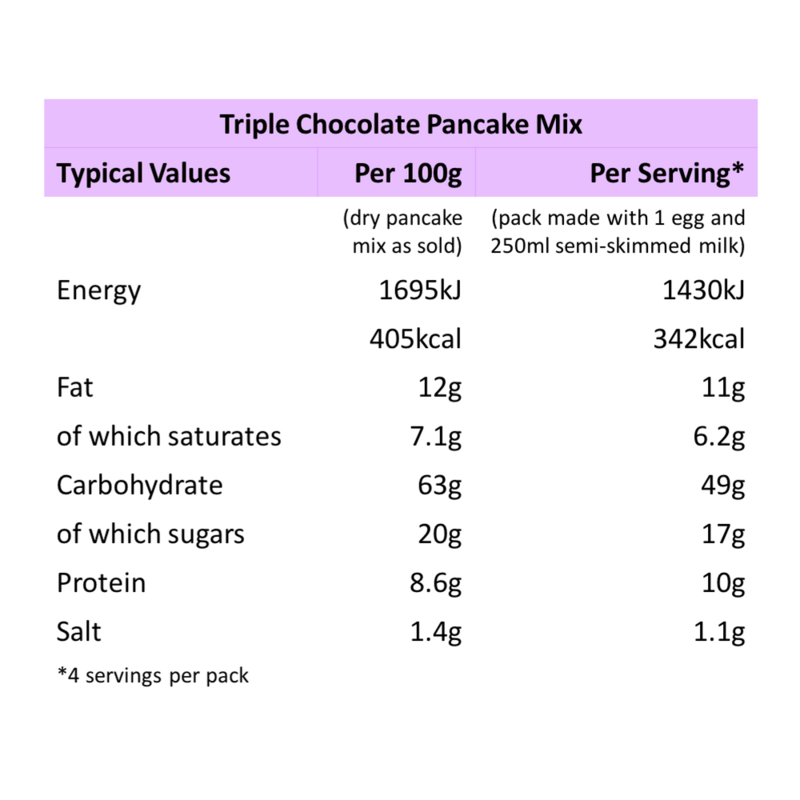 Each pack says it makes approximately four servings and I managed to make a huge pile of 11 pancakes, so fantastic value for money! The lovely cheerful packaging totally brightened up my kitchen and they were so easy to make (coming from someone who struggles frying an egg, I’d say that’s praise indeed)! The raspberry and white chocolate pieces made this one of the best pancake batches I've ever had. Forget going out for Sunday brunch, with this mix I'm staying in and making them for the whole family! Definitely recommend. Just to say that your parcel arrived and I was so impressed by the cheerful gift wrapping. 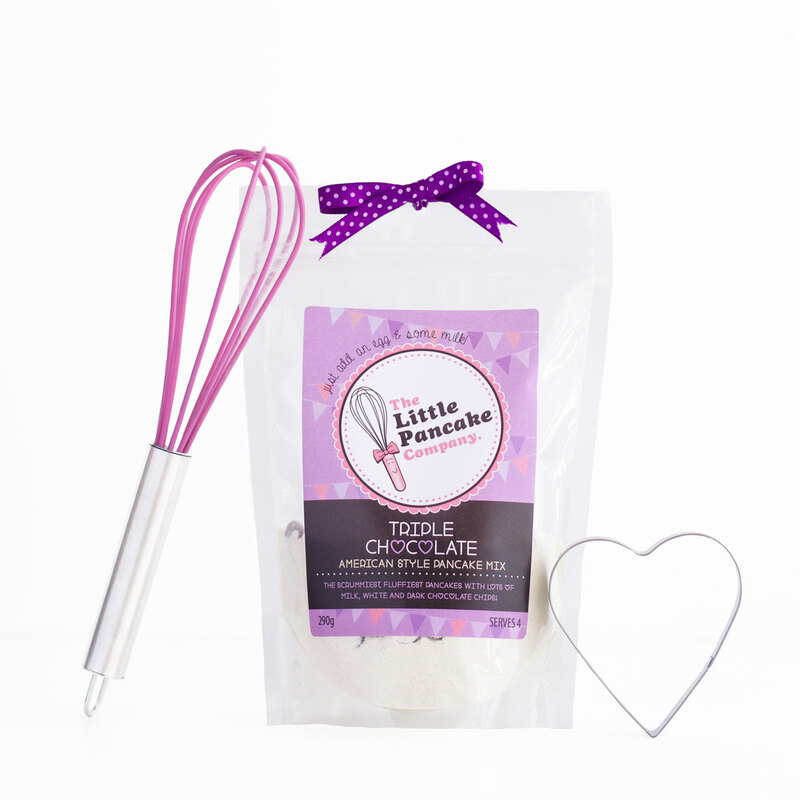 I have since had a go at making the Raspberry and White Chocolate mix – they were so good that I ate the lot! So, thank you, Little Pancake Company, for introducing me to another gastronomic delight! Pancakes tasted great and were really easy to make. Pancakes tasted great and were really easy to make. The packaging looked really nice and I loved the hand written update on where the company was headed. It arrived nice and early for Valentines Day and made my boyfriend’s day! Raspberry and white chocolate would be our first choice for flavour but I look forward to trying more as and when they are available. The pancakes were lovely and I really liked the packaging that it all came in. The instructions were very easy to follow. The flavour was nice and I look forward to trying out some different ones in the future! Gourmet pancake mixes with creative flavour combinations.